A flat twist ponytail is a unique and easy to wear hairstyle that is most often flaunted by African American hair types. Similar in effect to cornrow braids, a flat twist ponytail is a labor intensive process that keeps the hair confined and close to the scalp. 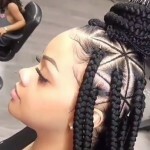 Perfect for the hot days of summer, twists and cornrow styles are a popular low maintenance hair styling option that can create a variety of fun and interesting looks. To create flat twists, gather the following implements. • Rubber bands or hair ties. For something fun, try out Knot Heads hair ties. 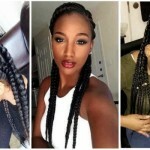 Unlike cornrows, flat twists are made from two sections of the hair rather than three. Corn rowing, braiding, and twisting usually involves a learning curve. 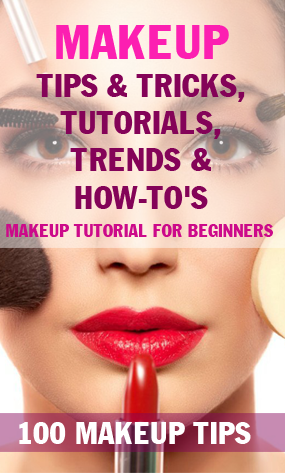 Try practicing on a model or a mannequin head first. It often helps to keep a hand held mirror within reach to check the back of your style as you work. 1. Start with clean, damp hair and section it into a row going straight back from the forehead. 2. Apply almond oil to the hair in this section for grip and nourishment. 3. Divide section into two halves; often known as the outer right and outer left. 4. Using your thumb and index fingers, place left section over right section, and then the right section over the left section. 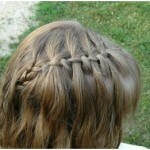 Repeat, similar to braiding. 5. Continue this pattern down the row with semi-tight tension. 6. Secure twist immediately with a rubber band. 7. Repeat all over your head until all of the hair has been twisted neatly into flat, scalp hugging twists. 8. 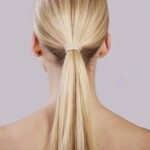 Gather twists into a high or a low ponytail and secure with one large rubber band. • Ponytail with hair piece: A clip-in hair piece can be added to shorter hair in twists for an instant ponytail. • Half ponytail: The top portion of the hair can be placed in a ponytail with the rest of the twists down. Can be placed high for a dramatic look or lower for an everyday style. 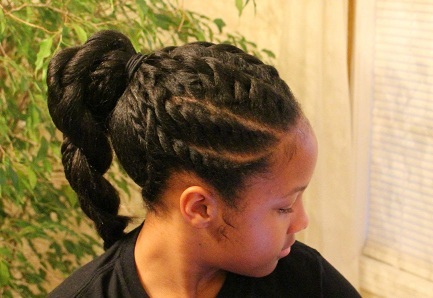 • Partial twists: Flat twists on the crown, with the remaining hair left natural and curly and placed in a high ponytail. • Flat twist low ponytail: A low ponytail at the nape of the neck can be look sleek and stylish with a pretty clip, or cute and casual with a no-damage rubber band or hair tie. • Flat twists with puff ponytail: A low ponytail style, the top is flat twisted and the lower portion of the hair is wrapped into a puff using a hair tie. A slider type barrette can be used for added sophistication. Twists need to be cared for in the same manner as cornrows. 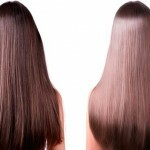 Shampoo and rinse the hair several times a week to maintain hygiene. To cleanse the hair and the scalp, place a stocking cap over your twists. Press a mixture of water and a foaming shampoo through your scalp and throughout the twists. Tap gently on the scalp to avoid irritation. Rinse hair thoroughly with stocking cap in place. For best results and targeted rinsing, use a removable shower head and direct water flow towards the scalp and through the ends. Finish hair cleansing with a leave in conditioner or nourishing spray to eliminate the itchy scalp and drying effects commonly associated with braids and twists. 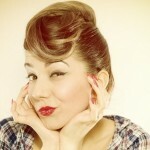 In between shampooing, a leave in conditioner spray may reduce any symptoms of tightness or itch. In addition, it’s important to sleep on a satin pillowcase or keep the hair in a satin stocking cap to avoid hair breakage and an itchy scalp at night. 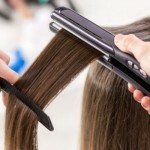 Creating long hair while flat twisting is easy with the help of hair extensions. Many women rely on hair extensions for a temporary change of length in their hair style and to increase the versatility of their braids or twists. For the best extension placement, seek the help of an experienced stylist who will often work with a mixture of artificial and natural hair. For those seeking highlighted or fashion hair colors, there are a variety of extensions that can add to your overall desired effect, making twists and braid hair styles not only a unique and easy care option, but also a look that can add a fashionable element to your image. Flat twists are a versatile style, and a flat twist ponytail can be a great look for everyday wear or special occasions. With practice, you can turn flat twists into many different stylish looks.